An unlikely and unwilling amateur sleuth is forced to dig into the past to save his future. Max Bravo is your typical bisexual, half-Gypsy opera singer who drinks too much and occasionally drops some acid. His surprise when an old friend jumps off the Golden Gate Bridge turns to rage when he gets stuck settling his affairs. Frank Kelly was more hotheaded than most failed poets, but Max discovers an even more dangerous side of him when he finds Frank’s diary while he’s cleaning out his apartment. The diary is partly written in another hand which a bookseller and graphologist identifies as belonging to Duffield Fallon, a vicious thug who died in the 1906 San Francisco earthquake. Having haunted Frank to his death, he now directs his attention on Max, who’s already accustomed to, if not exactly pleased by, visits from his late Gypsy grandmother. Another writer from Max’s past takes a dive off the bridge; he runs into a woman he once coveted, her striking beauty now marred by a ruinous scar; and the imperious Fallon continues to drive him crazy. Max realizes that he’ll never get his life back until he meets Fallon’s demands to find the woman he loved. His search for answers takes him and his friends on a wild ride through the dark and dangerous underbelly of the old Barbary Coast. 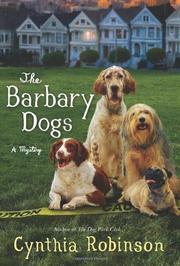 The only dog in this tale is Max’s pug, a legacy from his first plunge into detective work (The Dog Park Club, 2010). This esoteric tale, peopled with dozens of quirky characters, draws you in and spits you out dazed and delighted with the journey.